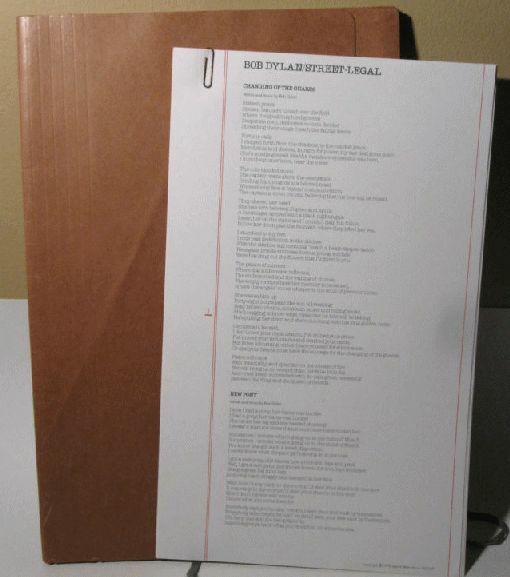 Legal file of the album's song lyrics, promo item. 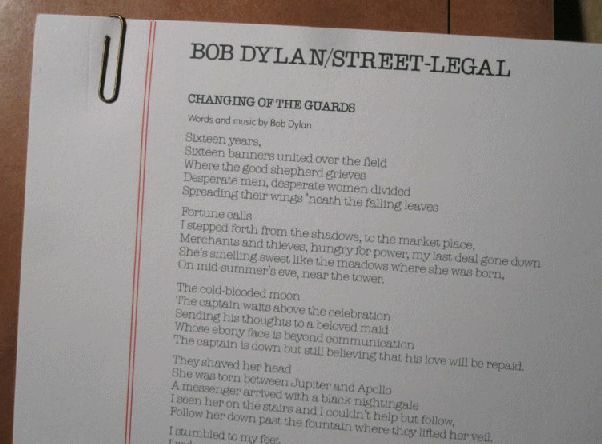 Contained in the 10" X 15" Accordion Brand legal size expanding envelope are six (6) legal-size sheets of paper with lyrics to all nine of the songs Bob Dylan included on his 18th studio album, Street Legal, released in June, 1978. 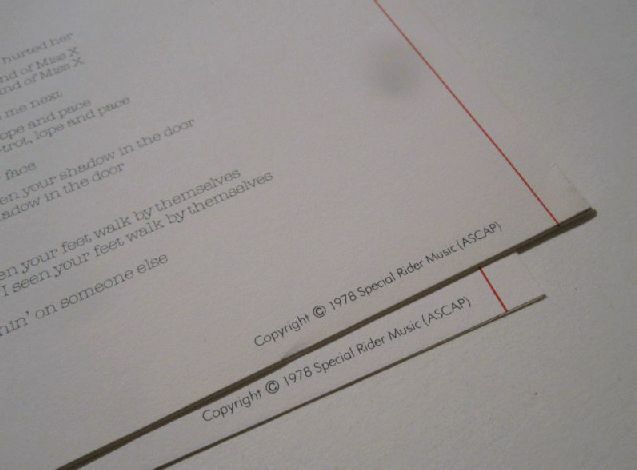 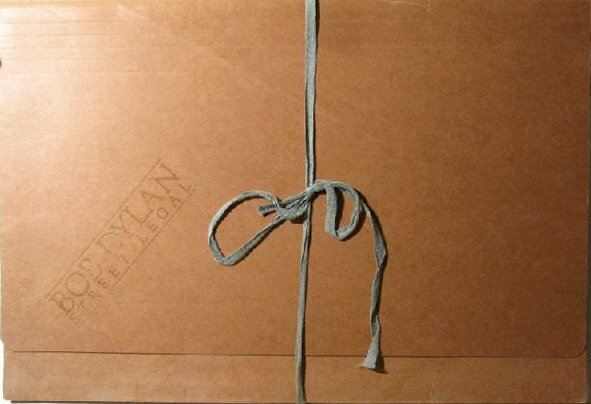 The enveloppe is stamped with the "Street Legal" logo used on the album cover.